Why call a plumber to take care of one type of plumbing issue, like water heater repair and have to call a different plumbing company for a separate plumbing issue like leak detection? When it comes to ALL your plumbing services needs, C&C Slab Leaks and Plumbing is the source for quick and reliable services in Dallas and the surrounding areas. AS WE SAY AT C & C "ONE CALL - WE DO IT ALL"! We use state of the art technology to locate and repair plumbing and slab leaks that can damage and even destroy your home's foundation and yard. With our expert methods, we can locate slab leaks easily and efficiently, limiting the inconvenience and damage a slab leak can cause to your property. 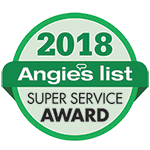 Our licensed plumbers are also highly trained in all aspects of plumbing science including: locating and repairing gas leaks, staying up to date on current plumbing codes, and isntallation and service of tankless water heaters. Also, be sure to ask us about our hydro jet service to prolong the life of your drains. 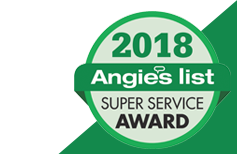 We believe it’s like taking your drains and pipes to the car wash.
Quality service, outstanding workmanship, and customer satisfaction are our top priority. At C&C the owner and master plumber is still active in the day to day operations with his expertise readily available discussing with technicians and office all jobs as they are occurring and the tasks ahead. Our friendly office staff in most instances can answer any question you may have and if not the owner/master plumber is more than happy to answer any questions or discuss your plumbing problems. Your plumbing technician will not only complete the work in a professional manner but will also take the time to answer questions and explain the work needed. At C&C we carry general liability insurance and worker’s compensation insurance for your protection.